The organizing committee for the international conference on “Esoteric Buddhism and East Asian Society” cordially invites the submission of related papers. The conference is hosted by the Association for the Promotion of Xuanzang-associated Culture 玄奘文化促進會 in Xi’an 西安, Shaanxi province, co-organized by the From the Ground Up project based at the University of British Columbia (www.frogbear.org), Guiyuan Monastery 歸元寺 in Xi’an, Shaanxi, Xinglong Monastery 興隆寺 in Zhen’an 鎮安, Shaanxi, and the Jintai Academy 金臺書院, Shaanxi. The conference will be held between August 2 and August 4, 2019 in Xi’an and the Jintai Academy in Zhen’an. 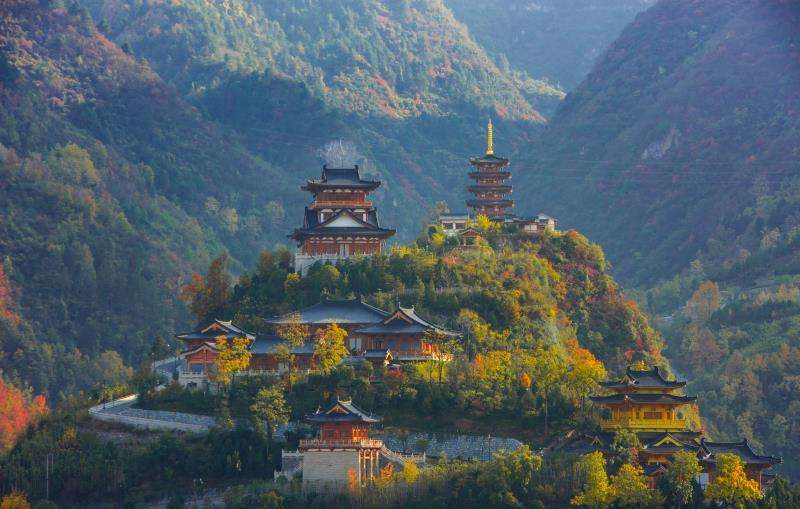 It has been thirty-two years since the discovery of the underground chamber at Famen Monastery 法門寺, west of Xi’an. The discovery of this chamber fascinated the world not only with its rare treasures, but also the esoteric implements and offerings that had been preserved there more than a millennium ago. This discovery allows us to glimpse the design and the high artistic achievements represented by Tang religious artifacts and reveals the significant role that Esoteric Buddhism assumed during the Tang dynasty. For instance, similar to Esoteric Buddhism in medieval Japan where influences can be seen across all levels of society, Esoteric Buddhism under the Tang was unique: not only in that it achieved a recognizable sectarian identity, but also because elements of esoteric teachings were absorbed by other religious schools, influencing their philosophical tenets and everyday practices. Some scholars have recently shed new light on the important role that the esoteric tradition played in the formation of Chan teachings and its central narrative of transmission from master to disciple. The influence of the Esoteric Buddhism during the Tang was not confined to the religious sphere: we see new developments of this tradition in many examples of material culture. No matter how one looks at a maṇḍala—an integral feature of esoteric practice—or the uncannily expressive statues of Buddhas, Bodhisattvas or Yidam that come in all shapes and sizes, or the murals that depict the variegated, mysterious themes of the esoteric tradition, which once inspired the enigmatic poetic style of Han Yu 韓愈 (766-824), one can always recognise the profound connection between art and the Esoteric Buddhist tradition. Influences from Esoteric Buddhism also abound in Tang literature across different genres, displaying its unique characters both in poetry and prose. Likewise, in architecture, one can readily make out the enigmatic, colorful and distinctive elements characteristic of the esoteric tradition. Recently, scholars have been paying more and more attention to the significance of Tang Esoteric Buddhism in relation to material culture and the dissemination of Esoteric Buddhist technologies in South, Central, and East Asia. Monks initiated into the esoteric lineages not only brought Buddhist classics and practices to China, but also advanced knowledge in astronomy, calendarial calculations and mathematical theories. And their medicinal and surgical aptitude directly benefited the elite of the Tang empire, leaving a permanent mark on the medieval history of Chinese medicine. Meanwhile, there are important connections to be drawn between Tang Esoteric Buddhism and commerce, military, diplomacy and even the invention of printing; these are the kinds of connection scholars too often overlook. Tang Buddhism, anchored in Chang’an, extended its influence beyond China to other regions within the Sinosphere, including Korea, Japan, Vietnam and countries further afield in Southeast, South and Central Asia. After Indian Buddhism arrived in the metropolitan city of Chang’an, advocates shared doctrinal teaching, cosmological schemes, and ritual procedures with Daoists, Confucians, and members of other faiths—including Christianity and Manichaeism—to produce a religious culture during the Sui-Tang period that drew pilgrims from across the known world. Thanks to the assiduous translations and preaching of Śubhakarasiṃha (637-735), Vajrabodhi (671-741), and Amoghavajra (705-774), revered as the “Three Mahāsattavs during the Kaiyuan Era (713-741)”, Tang Esoteric Buddhism became mainstream Buddhism in the city and at court, consequently affecting all other Buddhist traditions. This heterogenous nature of Esoteric Buddhism profoundly influenced all aspects of Buddhism in medieval Japan. Esoteric Buddhism and the military and diplomacy in East Asia. The organizing committee welcomes all paper proposals related to Esoteric Buddhism and East Asian societies. All conference-related costs, including local transportation, meals and accommodation during the conference period, will be covered by the conference organizers, who—depending on availability of funding—may also provide a travel subsidy to selected panelists who are in need of funding. Please email proposals and CVs to frogbear.project@ubc.ca by March 31, 2019. A conference volume will collect all the papers in English, plus English translations of several papers written in languages other than English; a volume in Chinese, to be published in Taiwan or mainland China, will include Chinese versions for all papers not written in Chinese in addition to those papers contributed by our colleagues based in China. Only scholars who are confident in finishing their draft papers by July 15th and publishable papers by the end of 2019 are encouraged to apply. This conference is planned as part of our annual Intensive Program of Lectures Series, Conference/Forum, and Fieldwork on Buddhism and East Asian Cultures (this year to be held at the Jintai Academy in Zhen’an, Shaanxi), sponsored by the Promotion Committee of the Xuanzang Culture and administered UBC’s FROGBEAR project. Interested graduate students and post-doctoral fellows are welcomed to apply for the whole program (details to be announced separately).